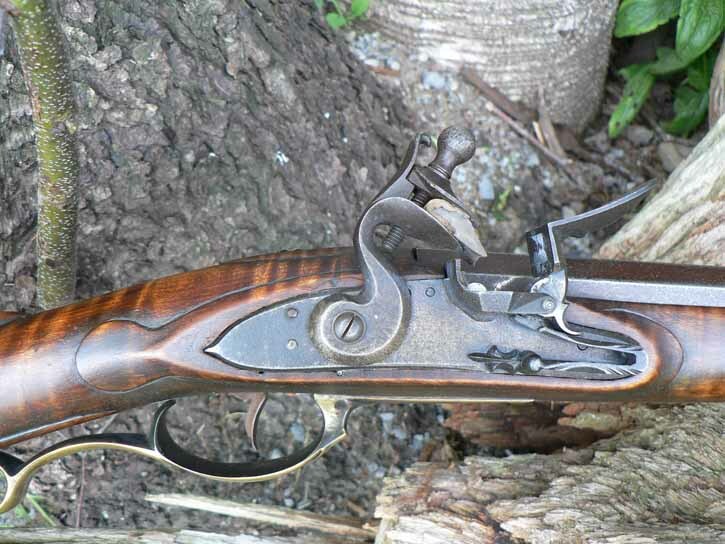 Early Western Pennsylvania Rifle, the original attributed to David Morton This rifle is patterned after one of the finest known early Pennsylvania rifles. 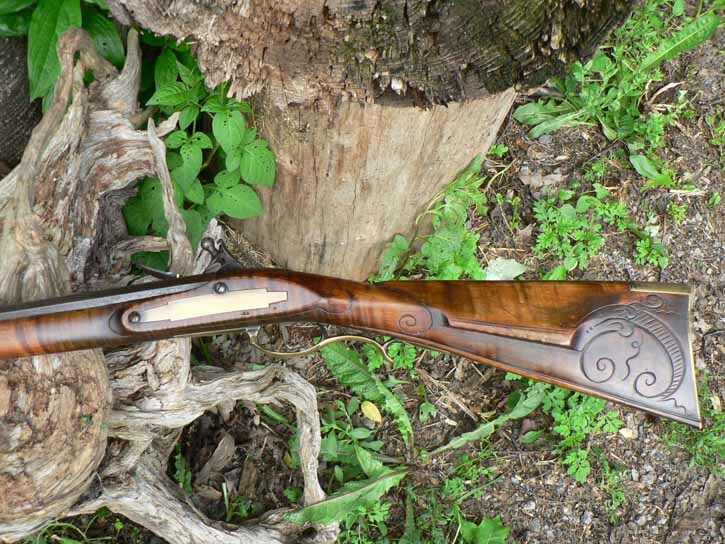 The cheekpiece carving of this rifle is exactly duplicated in Morton’s more famous later work. Built to reflect the look of a fine original, the finish is purposely age-crinkled at strategic areas. 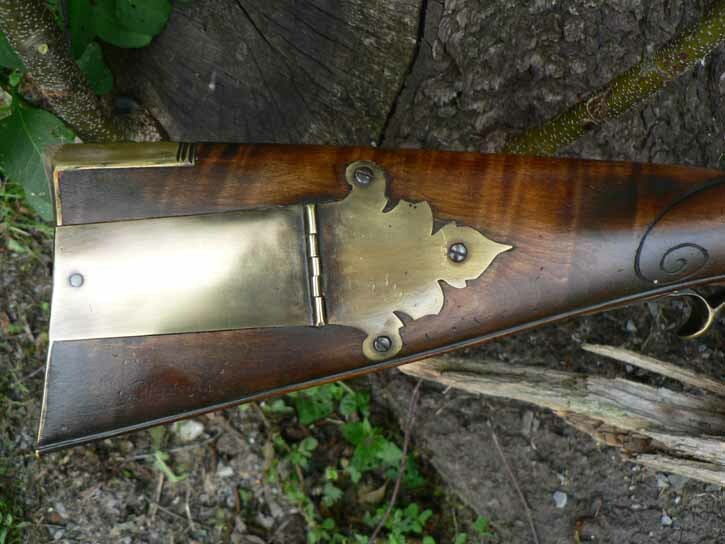 The metal reflects aging, as well. 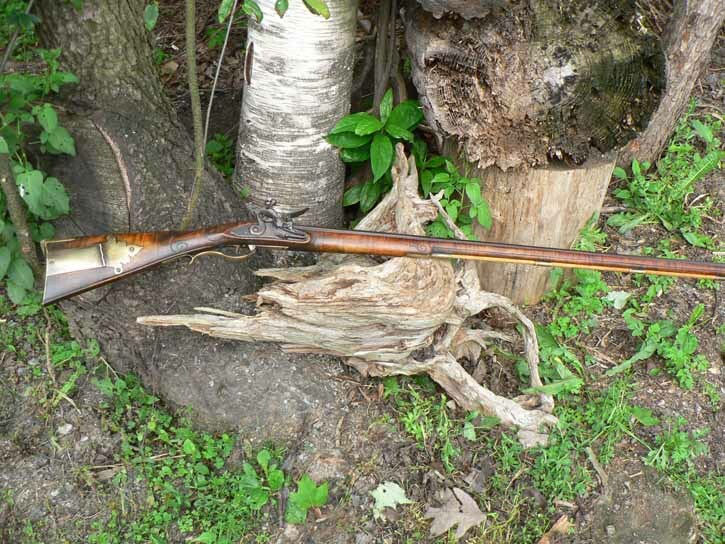 This rifle looks like it has a history to tell. 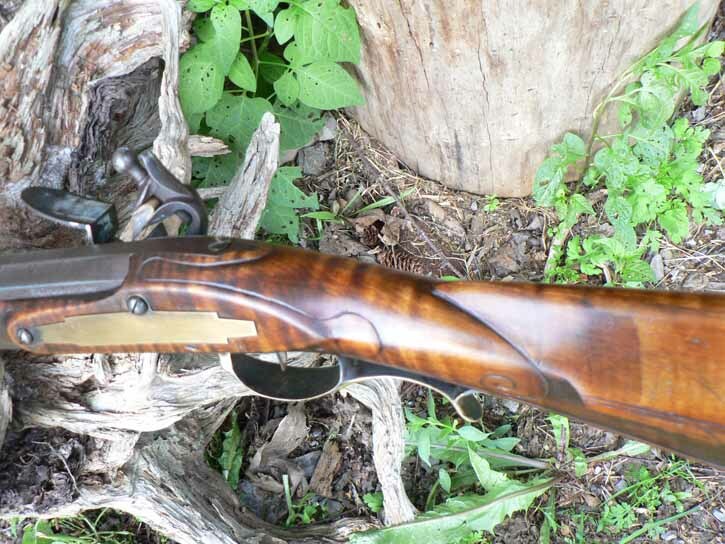 The rifle sports a 44” 58 caliber Colerain barrel and a cosmetically modified Davis early Germanic lock activated by a simple single trigger. It weighs in at a tad over 8 ¾ pounds.